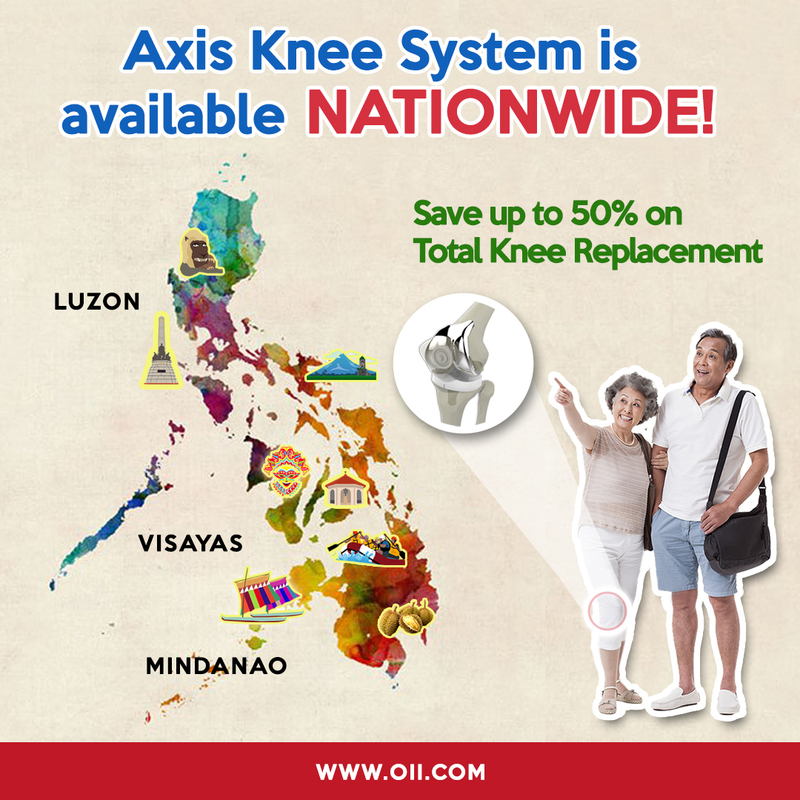 Axis Knee System is Available Nationwide! - Orthopaedic International, Inc.
Axis Knee System is Available Nationwide! Debug the myth that Total Knee Replacement is only available in Metro Manila. Give us call today at 09999157791 and we will assist you for the schedule of our partner doctors all over the country.